A Tasty Make Ahead Appetizer. Looking for a sensational appetizer for your next get together? This one is delicious. 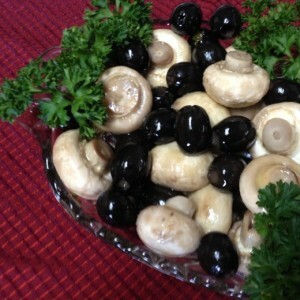 Mushrooms and olives in yummy oil & red wine vinegar. Being married to an Italian (at least part Italian) meant a lot of Italian feasts over the years. I remember days spent at the stove, making home made sauce in giant pots, sometimes even using tomatoes right from our garden. My husband loved to cook. When he did, we would make everything that day, from eggplant parmesan, to pasta, meatballs, sausage, and even pork spare ribs in the sauce. Next to the stove sat the ricotta, mozzarella, and freshly grated romano cheese. While wine wasn’t considered a necessary ingredient for this recipe, a nice bottle of Chianti or a tasty Sangiovese often made the cooking even more fun. Then our guests would wander in to eat the afternoon away, usually while watching a game on TV. This recipe was always a favorite appetizer at our house, sometimes even a side dish. Served along side an antipasto of salami, cheese, and pepperoncinis, it was always a hit. This is such an easy appetizer, plus you can make it a day or two early. That’s always a nice bonus–having some dishes pre-cooked makes it less hectic the day of your gathering. 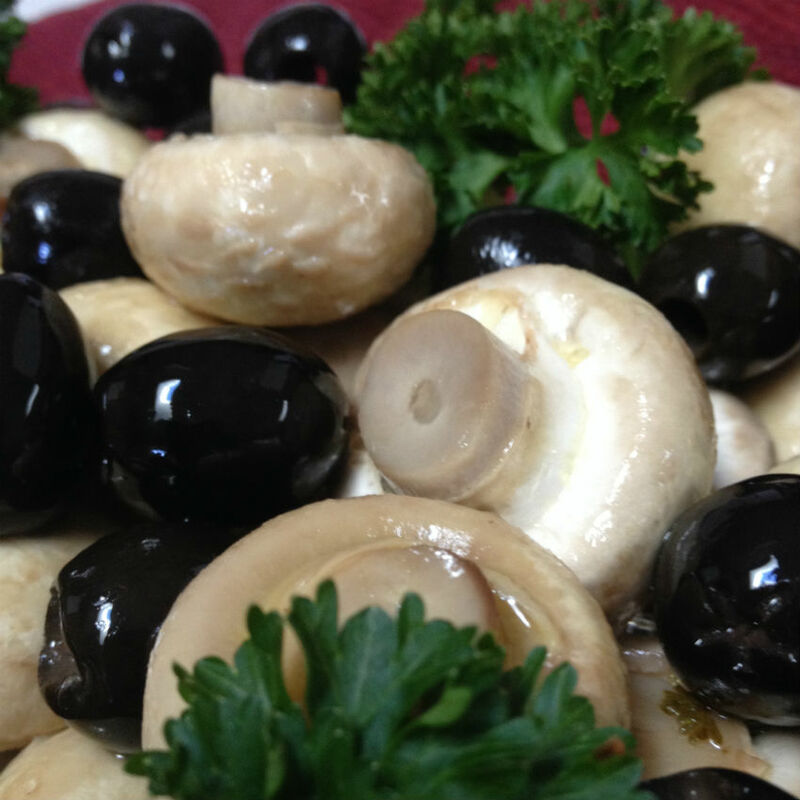 The mushrooms and olives are delicious served warm or cold, and taste even better the longer they marinate. If you don’t feel like an Italian feast, try serving this mushroom olive appetizer with this Spinach Fettuccine dish. It’s a nice light appetizer that will complement it perfectly. Combine oil, vinegar, garlic, salt and parsley in pan and bring to a boil. Add mushrooms, simmering 6 to 9 minutes. Add olives and remove from heat. Let cool, then refrigerate in the marinade.